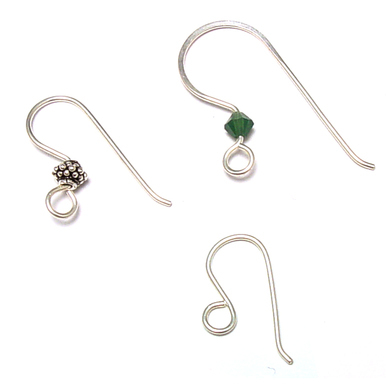 Wire wrapping is a technique that is a prerequisite for a variety of wire work designs. 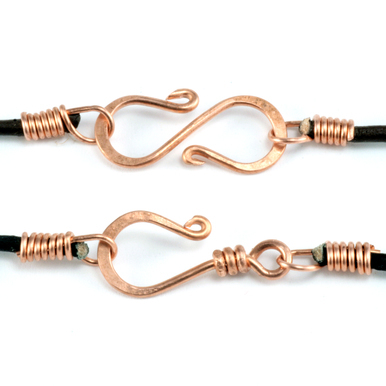 This class is perfect for beginners who want to master the essential skill of wire wrapping. Join Lisa as she thoroughly explains everything there is to know about wire, metals, tools and techniques. This class is jam-packed with information, so you’ll want to watch it again and again! This class has a run time of 60 minutes. I really like watching all of lisa video. I am teaching myself how to make jewelry. I have three kids so I am not able to take class and I have bought dvds and read books but when I watch Lisa, I get it and am immediately able to do it. Anything I am doing well at this point is from her instruction. I enjoy her segments so much and am so happy its free! I love the format of all the videos I have viewed so far. The segments are short and titled making them easy to absorb as well as quickly accessible for viewing again. This one had lots of information presented in short bits that I will be able to reference repeatedly. Thank you again for making this available. I chose to view this video for a refresher, as I make handcrafted jewelry. I was able to see if I have changed any techniques in a negative manner. Lisa provides all the information in clear, precise steps. I enjoyed the way she presents everything. Super nice class!! well explained clear.Reminding all the time about the steps.... love it! NEXT!!! I loved the whole video, but especially the part about tools. It really helped me understand what pliers are needed for which task. The demonstrations really helped me see how to use and hold the tools while working wire. Thanks! I've watched a lot of jewelry videos and Lisa is the absolute best! She is clear, precise, explains concepts, repeats techniques so that the students can really learn. She has a good pace, I never felt that the class was too slow even though I knew many of the techniques. The camera work as well was excellent, and Lisa was always aware of how she was positioning her hands so that the camera and hence her students could get the best view. Thank you, great stuff! This is such a wonderful resource. Lisa is an amazing teacher - articulate & clear. The camera is positioned to show close ups of the work. It would be hard to see as well in a classroom setting. The fact that these online classes are free is wonderful! Thank you Beaducation for your generosity!